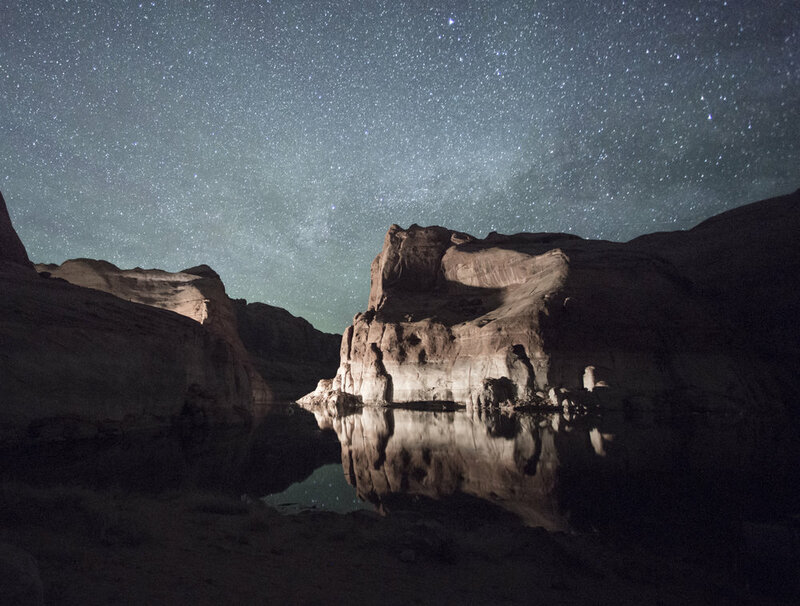 The lighting at Lake Powell always seems to unfold some hidden magic. 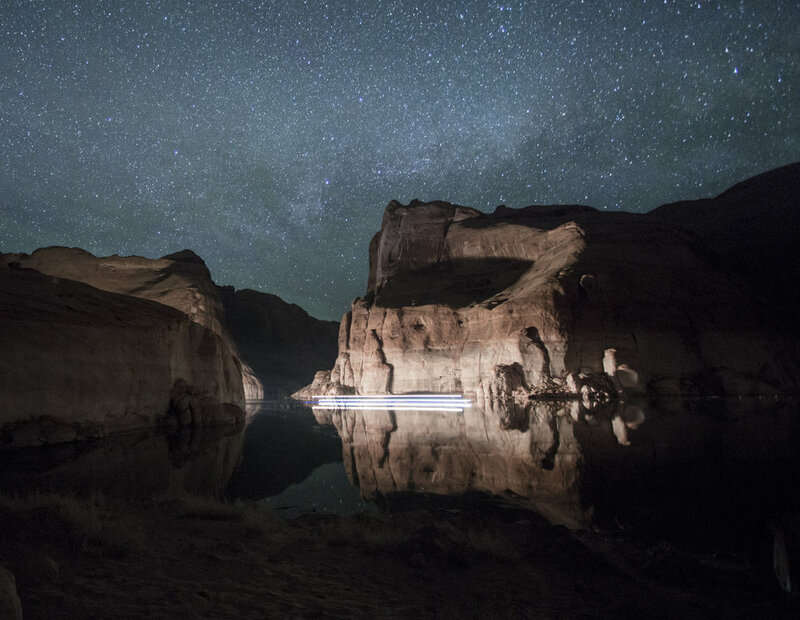 This was a long exposure of a houseboat slowly illuminating the walls of Iceberg Canyon while it passed by our camp. Wishing you all a safe luminous upcoming holiday weekend!